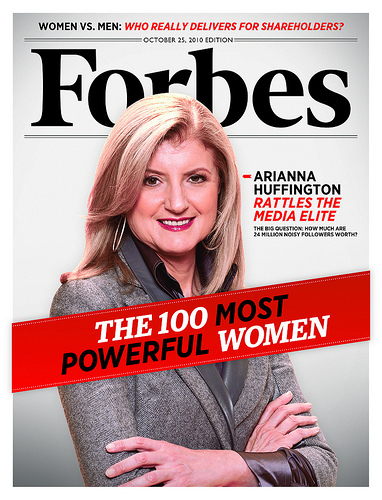 Arianna Huffington is the epitome of success. Aside from starting her news website The Huffington Post, she is also a world renown author. She shared of how she was so busy to the point that she was overcome by exhaustion and dropped down. The world was telling her to slow down! When I look at my life now, I am on an upward incline. However, I think I am doing too much and forgetting what is important. We need to realize that we as humans have no control over our life, God does. In Philippians, it speaks of God strengthening us. We do not strengthen ourselves. Even if we work 10 additional hours in our week, we are not strengthening ourselves. Perhaps we are attempting to do so, but in the end it is remains a futile attempt. “Taking it slow” to me means finding a balance in life, even the word of God, it says there is a time for everything. Arianna said that “multi-tasking” does not exist but instead “task switching” does. That is something I need to realize. I need to start my day, earnestly seeking God’s wisdom on how to tackle my duties, ask for strength and thank him- for his mercies that are new every morning and his Grace that is sufficient for me! “Taking it slow” also means taking a moment to be away from the internet, T.V and all these noise! In High school we were urged to take quiet time and be still. I need to do that! Set aside quiet time and dedicate it to the Holy Spirit and I.
Arianna also said that as humans we only do 10%, so we need to do 100% of that 10% but guess what, the rest is up to GOD! How refreshing! She also mentioned her favorite quote- “Live life as if everything is rigged in your favor.” -Rumi. That sounds very similar to: Everything works to the Good of those who love him- Romans 8:28. You see, even if life throws you a curve ball, God aligns or “riggs” it to our favor or good! Woo Hoo! Praise My Jesus!